If you want your hair looking tip top and can’t be bothered to apply the effort required, Batiste is an absolute must have product. I won’t preach to you about the benefits of the cult dry shampoo (because if you don’t know already I’ll make you stand in the corner with your back against the wall,) I’ll just tell you that it’s now available in cherry! Possibly one of my favourite scents, I squealed with excitement when the little kitch bottle arrived in the post. I was really looking forward to a rich smelling, fruity cherry heaven upon spritzing, so I was a little bit disappointed that it doesn’t smell anything like cherry to me at all. Boooo. It’s still a nice scent though and looks cool on the shelf, so we’ll forgive them for that. A little tip for you if you’re using Batiste but the white powder scares the bejeezus out of you, apply it to the root, ruffle it about a bit and then set your blowdryer on it as if you were drying from scratch. The air will not only add volume, but the heat will help to even out any kinks while blowing away any excess white dust. Et voila! OMG YES PLEASE!! 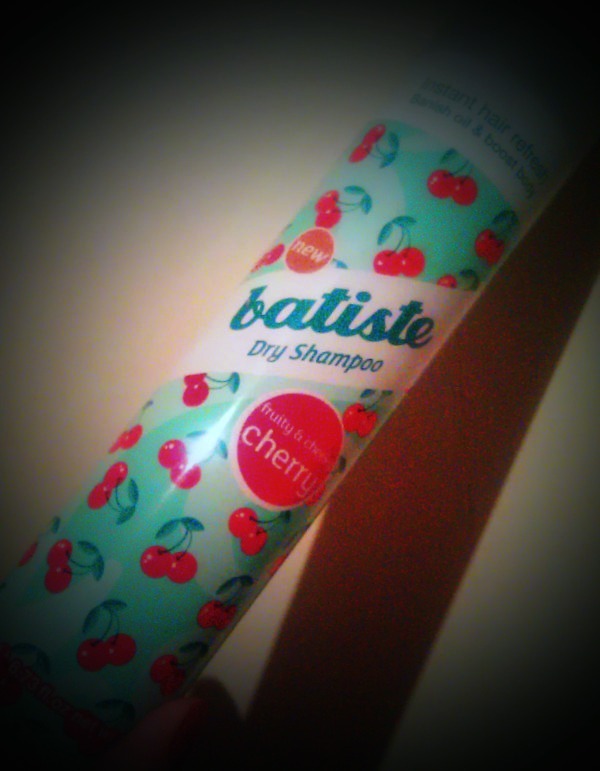 i love everything cherry — THIS IS AMAZING!! I can't live without my dry shampoo and this brand is my fav!